Pushing boundaries and escaping plateaus are common themes in rock climbing. It always seems that the more difficult the route or problem, the better the experience one has on the ascent. I have always found that the best training for rock climbing is more rock climbing. However, getting out on the rock can be difficult due to schedules, work, or weather related setbacks. It is fortunate that there is a plethora of training tools available to help one succeed at getting to the next level. Knowing which tools to use and how to use them become a different matter. Also known as fingerboards, this tool is most useful in developing finger and forearm strength. There are many companies that supply hangboards of varying difficulties. Popular hangboards include the Metolius Simulator, Metolius Project board, and the Moon Fingerboard that have varying degrees of difficulty. My personal favorite, the campus rungs helped me jump 2 V grades in bouldering in less than 6 months. The campus rungs exercise was originally developed by Wolfgang Gullich to help him push through what was once the hardest route in the world, Action Directe (5.14d). These wooden slats are used to develop explosive power in the arms and to develop finger and forearm strength. These are usually found in gyms since a climbing wall is needed. Specific holds are set up vertically symmetrical or in a random pattern. A climber can also choose random holds on the climbing wall and make a circuit of them. 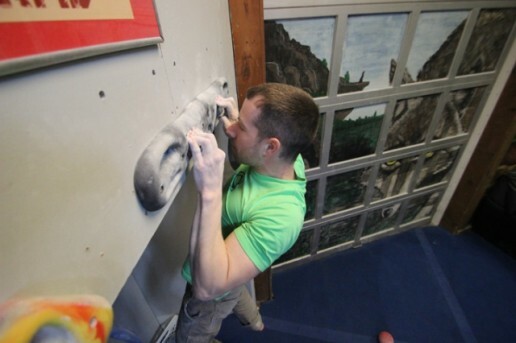 This helps train specific movement for certain types of holds (pinches, crimps, slopers, etc.). A bucket filled with rice comes in at one of the most inexpensive tools for training. Specific hand opening and twisting exercises in the bucket of rice helps train antagonistic muscles to help prevent over use injuries. Check out this rice bucket training routine to get familiar with the practice. A portable training device made by Metolius, these can be taken virtually anywhere to get a quick training session in while on the go. They are not extensive in the number of hold positions they provide, but they provide enough to give you a decent workout for your fingers, forearms and biceps. These training tools are used either singly or in a combined fashion to fit the specific needs of the user. 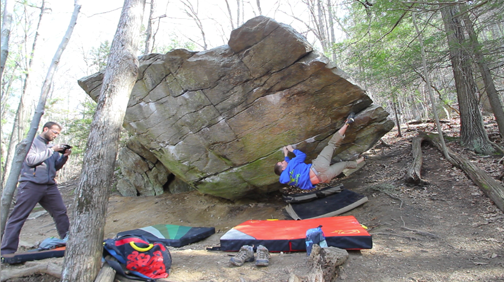 All of these tools can be used to help train for bouldering, sport/trad/ice climbing, competition climbing, or even just for upper body fitness. If a climber wants to make specific gains in their practice, these are some great instruments to add to their climbing routine. Check back for more detailed routines on the above listed training tools.